They say ‘Walk a mile in my shoe’ to lead one on to understand somebody’s experience, challenges etc. But Sudhir Shenoy chose to run many a miles to understand the situation of the widows of the farmers who committed suicide in the Vidarbha and Marathwada regions of Maharashtra. 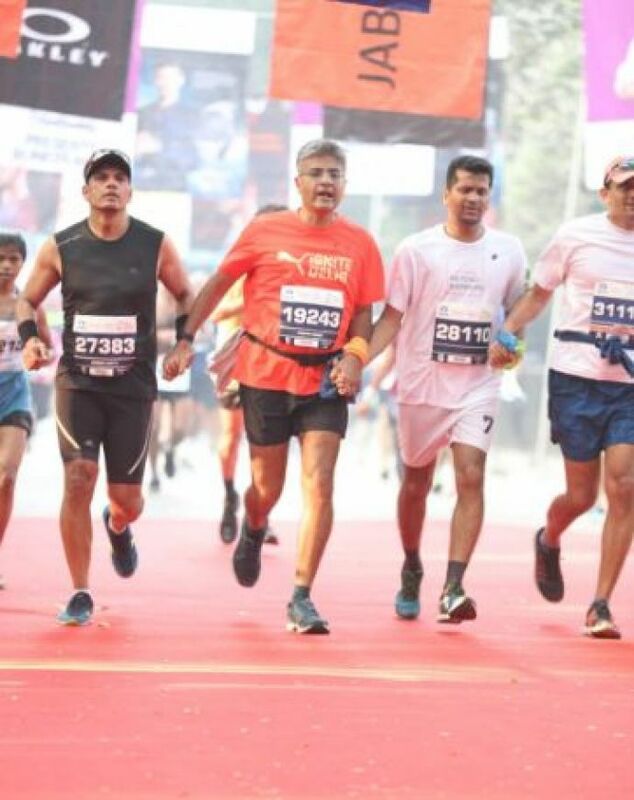 Shenoy, a CEO of Dow India and a member of NGO Habitat for Humanity India’s (HHI) advisory committee, participated in the Tata Mumbai Marathon 2019 to raise money of the construct houses for the farmers’ widows in Morshi village of Amravati district. Shenoy ran his 51st marathon in the month of January during which he ended up raising Rs. 55 Lakhs of the targeted Rs. 60 Lakhs. “The marathon was organized on January 20. I completed half the race (21km). The funds were raised from my friends, family and other professional contacts and networks. This is my personal initiative and not a corporate one,” Shenoy said. As pledged, Sudhir proceeded to build the 25 homes for the farmers’ widows in Morshi. On Tuesday, he laid the foundation stone in Ashtegaon of Morshi for the construction work of the houses. “My husband committed suicide due to financial burden and extreme stress. It has been a traumatic experience. He died once, but I die every day. I have to live and be strong for my children and for my family,” said Vaishali Rajesh Mahalla, a widow. 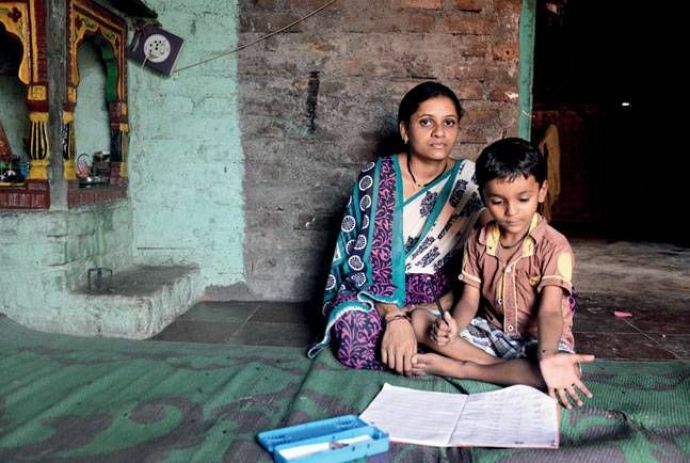 Vaishali is one of the many families who have partnered with NGO HHI to build their houses. HHI has built homes for over 140 families in the last three years in the Osmanabad, Amravati, Washim and Yavatmal district of Maharashtra. These houses are 300sqft big and cost approximately Rs. 2 lakhs each. Each of the family who partners with HHI chips in 10-15% sweat equity to build their house. Families can avail subsidies depending upon their individual situation. Shenoy was seen speaking to the partnering families on the foundational day. “It is the solemn duty of every like-minded citizen to help the wives of deceased farmers rebuilds their lives. We need to roll-out concrete financial inclusion initiatives for women who continue to remain the most vulnerable section of the population in rural areas. Social organizations and corporate sector need to synergize their efforts and resources to ensure maximum financial outreach and economic security for marginalized populations in the country,” he said. “HHI remains committed to helping farmers’ families live a life of respect and dignity. It is heartening to see how one person can create a ripple effect. Through his support Shenoy has proved to be a true champion. His dedication and belief in HHI’s work will enable us to build strength, stability and self-reliance for the families of these 25 women in Amravati district. We can all come together to make a difference, in pursuit of a world where everyone has a decent place to live,” said Rajan Samuel, managing director, HHI.